Stephen Williams, Co-Chief Executive Officer of Reabold Resources #RBD discusses the spudding of the Burnett 2B well within the Monroe Swell field, onshore California. 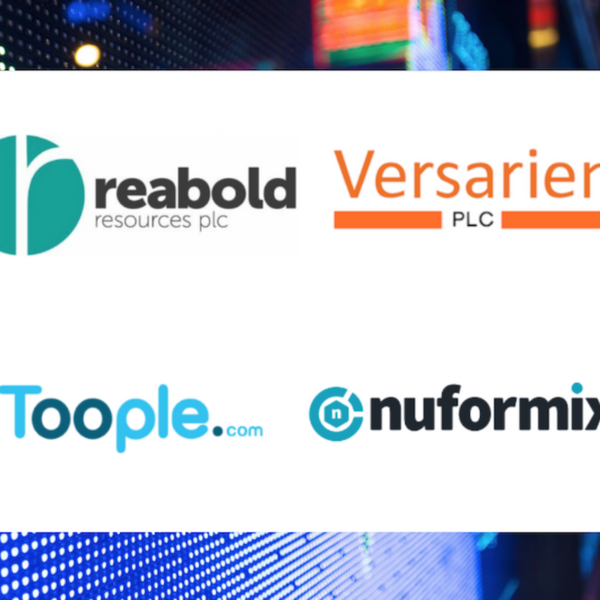 Neill Ricketts, Chief Executive Officer of Versarien #VRS provide an update on their operations in the U.S.
Andy Hollingworth, Chief Executive Officer of Toople #TOOP give an operational update based on their AGM statement. Dr Dan Gooding, CEO, Nuformix #NFX talks about commencement of clinical studies for the Company's lead asset NXP001.